Kirklin Gladstone completed the nine-month work experience program at the North Pacific Cannery where apprentices worked with journeyman carpenters to restore the site. The conservation efforts at the North Pacific Cannery have come to a close for the year and there is a lot to celebrate. The nine-month work experience program started with 16 apprentices, three journeymen carpenters, one crew supervisor and a project manager who mentored them in their trades training. One of the journeyman carpenters is Meghann Patterson. “I’ve been mentoring, teaching all of our students how to be carpenters, labourers and how to restore the historic cannery,” she said at the cannery on Nov. 10 where there was a celebration luncheon to acknowledge the work completed in 2016. Patterson worked on the fish shed, replacing the roof system. With her crew they tore it down to the ground, replaced the piles and the flooring. “The most rewarding part is when people can’t really tell that we did any work on it. They look at it and think it’s been like that for 100 years,” she said. There were four key components conservation manager, Steve Milum, said they focused on this year: the working dock, south wall of the reduction plant, an addition to the fish loading bay, and the triplex units. They installed 4,500 square feet of the working dock, replaced a few roofs on the other houses on site and white-wash stained the machine shop net loft. “Everyone is feeling proud of what they’re accomplishing,” Milum said. There were 11 apprentices who completed the trades training program and they are now on the job hunt. Former fisherman Kirklin Gladstone is one of the apprentices who said he’s going to pursue more in construction work. “It’s been awesome here. I’ve learnt a lot more. Putting it all together. Stuff I didn’t know before,” Gladstone said adding that he’s recommended the program to others. The cannery is closed for the season and Milum has big plans for 2017. There is another 9,000 square feet left to do on the working dock that he wants completed for Canada’s 150th anniversary. Next year is also the 150th anniversary of B.C.’s salmon canning industry. 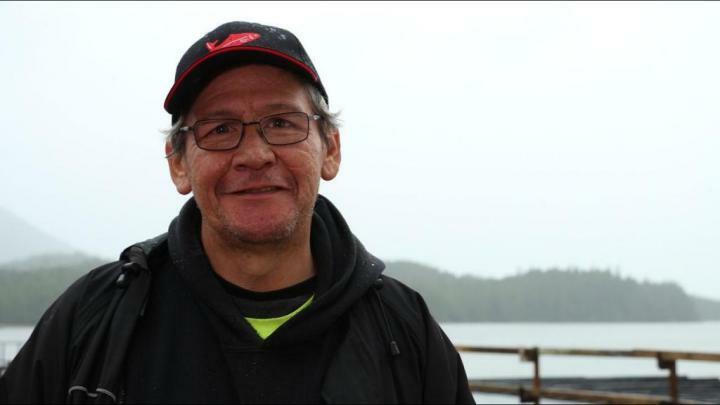 “As a national historic site representing B.C.’s salmon canning industry it’s a huge celebration year for us. We want to have some big events, including a music festival. We’ve got a huge chunk of the dock done now so we have a lot of really good event space,” Milum said. The program receives it’s funding from many partners. Through the Job Creation Partnership, the province gave $200,000 for participant support, safety gear and wages for the journeymen. As the program is through employment insurance, the province supports another $200,000 in the apprentice’s wages. Other contributions came from Parks Canada and Heritage BC, Hecate Strait Employment Development Society, Aluma Systems, Broadwater Industries, Kristoff Trucking, the District of Port Edward and Northern Health’s physiotherapy department. The next step is getting grants, funding and partnerships to get the dock finished.